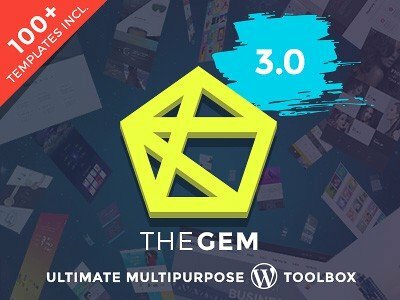 Are you looking for modern, creative and trendy Joomla themes to create your next successful web project? If yes then hold on and keep reading this article for next 3 minutes. In this article, you will find the best creative Joomla Themes 2018 with an attractive and highly customizable design. These themes can be used for multiple purposes. 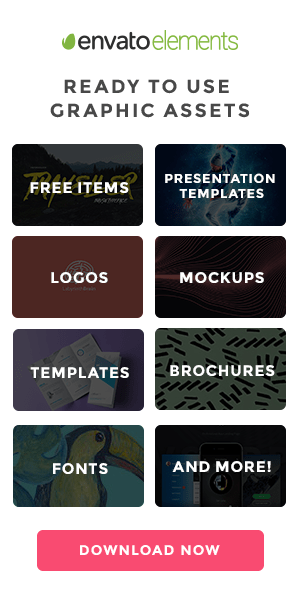 You can use these themes for displaying your work, sharing your knowledge, making any kind of website related to anything. Just take a look at these amazing themes and their features and get ready for revamping your website using these Joomla templates. So without wasting any more time, let’s dive into some of best Creative Joomla themes in 2018. JD BizX is one of the Best Creative Multipurpose Joomla Theme, which can be used for almost making any kind of website ranging from the digital marketing agency, business site or any other site. JD BizX is powered by Drag & Drop Page Builder and Powerful Admin Panel which gives it a flexibility and full customizability. JD BizX is integrated with the Bootstrap framework in the front end which gives its smooth and vibrant look. The Theme comes in two different color option i.e one Dark and One light you can choose any based on your choice of interest. If you want a creative Joomla Theme for your construction business then, Yellow Business theme can definitely help you with this. Yellow Business is integrated with the powerful page builder tool, you’re no longer constrained by the limitations of the default Joomla editor. You can also use a powerful drag-and-drop interface to create stylish content layouts and designs that will help set your website apart from the competition.] Yellow Business includes a selection of pre-built header layouts that can be applied to your website in just a few clicks. JD Dallas, is a smart Creative Multipurpose Joomla theme that you can use to create any kind of websites. You can use this theme to create a website for creative agencies. It can also be used for professional business websites. JD Dallas is a fully responsive template with SEO Optimised so that you can rank faster. It is powered by the powerful Helix 3 framework which makes it easy to customize the template as per your need. The theme comes with a clean and validated code. It comes with pre-designed important sections like the team, contact form, etc. So, you can append features by including some new code modules. JD Dallas is built on CSS with Bootstrap 3 at the core which is the reason for its vibrant and classy look which gives a soothing effect to the users. Simphy – Creative Multipurpose Joomla Landing Templates comes with predefined 6 layout variations. As this theme is multipurpose, it is suitable for all kind of Creative and Corporate websites and Landing pages. The theme has repeatable drag and drop section that allows to add as many section as you want with various beautifully designed layouts. The theme has a clean and lightweight code which gives it a fast page loading speed. There are lots of theme options which you can tweak and customize the theme as per your interest. Simphy is fully responsive and SEO optimized which will help you to give you a definite push in search rankings. If you are looking for a clean, powerful and creative Joomla theme then ProbBiz can be one your selection. It includes Drag and drop page builder which allow you to customize the template as per your need and requirements. Probiz is fully responsive and looks at any screen of any size, be it a laptop screen, iPad, iPhone, Android Mobile or tablets. Probiz also lets you set unlimited colors to your website. The theme has sections to display your business details effortlessly and to provide maximum exposure. Aikra is also a another Joomla template which is fully responsive and have a really modern, clean and professional template. It comes with two Different Versions. Multi-Page Templates. Many more inner Pages, Awesome Slideshows and Color Variations. Easy-to-customize and fully featured designs. Basically, If you are looking for a template for your Business site, the corporate site then this can be the perfect choice. You must have to give this template try. All the necessary features ensuring your best online presence are there in this theme. The inbuilt Drag and Drop page builder, powerful admin panel make this template more flexible and customizable. JD Magazine can be the best choice if you are looking for a lightweight fast loading Newspaper and Magazine Joomla Template. This template is compatible with EasyBlog and Joomla Articles. It is crafted with Drag & Drop Page builder which makes it easy to customize.. The theme features a clean and modern design along and it also includes an easy-to-use tool to review, share and showcase latest discoveries and findings. This flexible creative Joomla theme comes with several awesome features, like a powerful custom admin panel, layout builder, fully responsive design and based on powerful helix Framework. This Magazine Joomla Template is a fast loading and lightweight template which intensify your user experience on the site. Along with this, it comes with predefined page layouts so you don’t need to worry about designing your home page. It comes with 5 mega menu styles to choose from, for the proper optimization of the header menu. Along with this, features like Unlimited background colors and combinations, Extensive T3 typography, Joomla template overrides are also integrated within the template. Daniels is a creative one-page Joomla template which comes with multiple prebuilt layouts. This theme has an elegant and modern design containing various ready to use sections. And all of them have load animations to make your free website look interactive. Daniels Joomla Theme is fully responsive, SEO Optimized, Bootstrap compatible. All files and code have been well organized and nicely commented for easy to customize and to provide you a fast loading speed. JD BizOne is one of the best premium creative Joomla Theme. JD Guerrilla is fully responsive One Page Joomla template targeted to digital marketing agency, graphic design business or freelance designer to present themselves creatively to visitors. JD Guerrilla is very much inspired by the clean and block design approach with bright color palettes, simple typography, focus on the minimalist use of simple elements. The Powerful built-in page builder with drag and drop functionality allows you to easily modify your website pages using the drag and drop functionality. So these are some of the best Creative Joomla Themes in 2018. 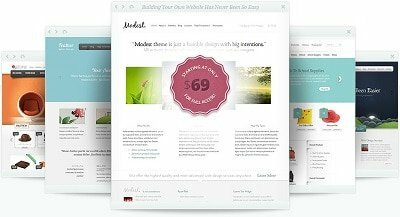 I hope that this article can really help you in finding your best creative theme for your next Joomla web project. If you also have atheme suggestions you can always leave that in comments. Our team will review that theme and if it’s really good we will surely add that in this list 🙂 . About the Author: This article is written by Naveen Kumar. He is a digital marketer by profession and blogger by passion and kind by nature. If you are looking for Joomla website/template Framework visit: Astroid, Naveen has a great collection of templates at JoomDev. Apart from working on Joomla templates, he stays busy with his naughty kid Nainish and loves to convert ideas into reality. Follow him: Facebook | Twitter | LinkedIn.